IPA Day is back this Thursday, August 1st! This year marks the third annual IPA Day. I'm super excited to celebrate because well, I love beer and IPAs are one of my favorite styles of beer. 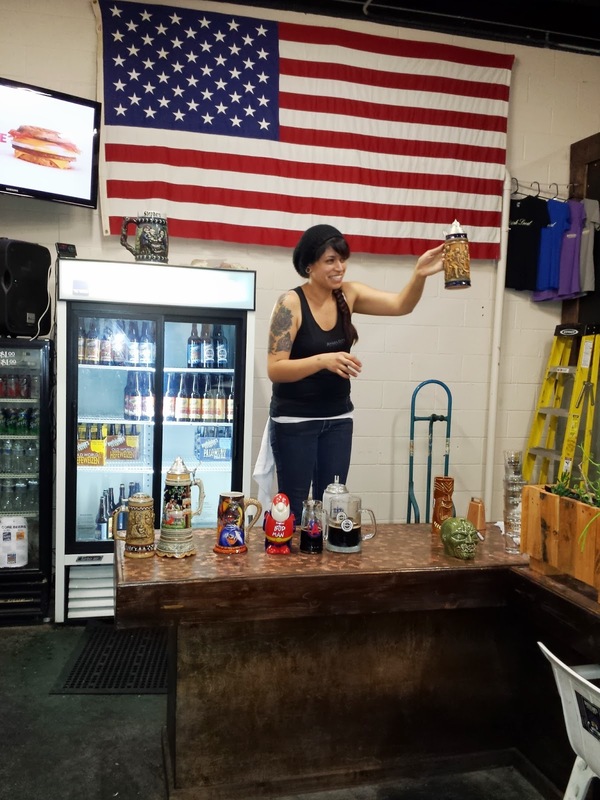 To read more about the history of IPA Day, check out the creator of the event, the Beer Wench's blog post here. Many breweries and beer related businesses will be offering specials to help encourage customers to try an IPA. The following breweries and businesses are just a small sample of events and promotions that will be occurring on Thursday. Brew Heads will be having a sale all day August 1st to celebrate IPA Day. 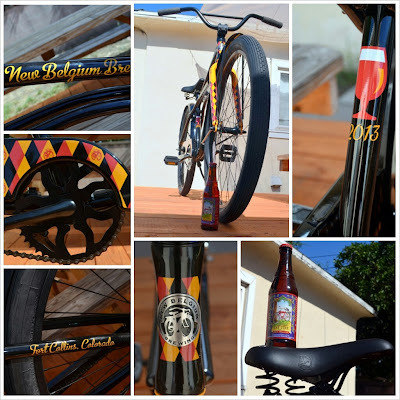 Check out their site for some rad craft beer items! They have shirts, glassware, hats, accessories, and work shirts available. Butcher's Brewing will be releasing two new IPAs with a sweet price of only $3 each. They are also having a contest to name one of the new IPAs which was brewed with hibiscus, jaimaica, ginger, and orange. Names for the new IPA may be submitted in person between 2 p.m. and 8 p.m. on Thursday. 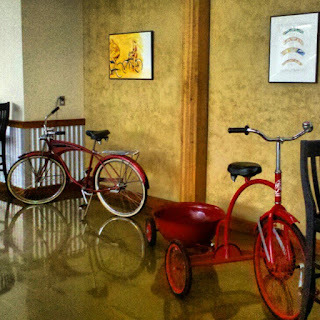 Winners must be at the tasting room if their name is selected in order to win. Not only will the winner have the honor of naming a beer but they will also get a t-shirt! Hangar 24 will have four of their standard IPAs on tap in their tasting room along with 6 pilot batch IPAs created just for IPA day. XIPA also known as Experimental IPA, Double IPA, Columbus IPA, and Essence are the standard IPAs that will be available. Karl Strauss will be doing a special event on Thursday in San Diego, an interactive pub crawl with their North Park sales rep Ryan Murphy. The details of where Ryan will be are going to be shared on their facebook page, twitter and instagram accounts. Toronado, Urbn Coal Fired Pizza, Bar Pink, and True North will all be featuring specials on Karl Strauss beers. 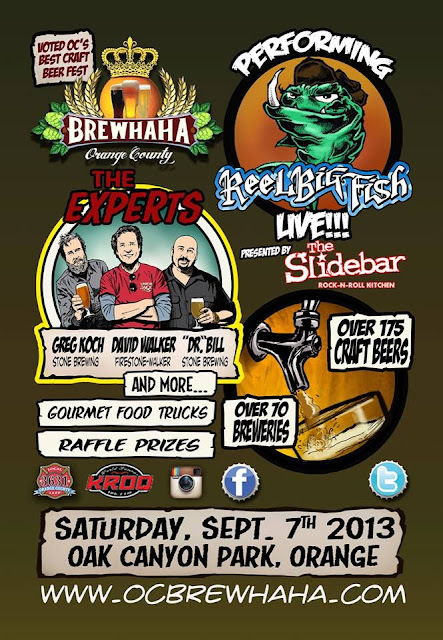 Kern River Brewing Company will have three IPAs on tap on Thursday. Their Single Track Session IPA, Just Outstanding IPA, and Winter DIPA (their 5th anniversary beer). They will also have guest breweries' IPAs available on tap as well. Northern Brewer is offering a special deal, 10 % off when you order a Cascade Mountain IPA extract recipe kit you also receieve a free growler! The offer ends 7/31 at midnight CST. O'Dell Brewing will be celebrating IPA day by offering a special deal, if you purchase a growler fill of their Myrcenary DIPA or their standard IPA you will receive the growler (the container, not the beer) for no charge! Pagosa Brewing will be doing a joint celebration with Riff Raff Brewing offering a tasting flight consisting of beers from both of their respective breweries as well as other breweries. Beers available in this "IPA Taster Collaboration Tray" include: Great Divide Brewing's Titan IPA, Pagosa Brewing's Powder Day IPA, Telluride Brewing's Fishwater DIPA, La Cumbre Brewing's Elevated IPA, and Riff Raff Brewing's Hopgoblin IPA. Stone Brewing Company's Liberty Station will have of course their standard IPAs on tap, alongside guest breweries' IPAs. They will be featuring more than twenty IPAs along with two beers on cask. Some of the beers that will be available include: Ritual Brewing's Hop-O-Matic, Modern Time Beer's Neverwhere Brett IPA, Haven Brewing's Double Hubble IPA, Robert Masterson & Ryan Reschan's Rip Current/Stone Brewing's R & R Coconut IPA, Bear Republic's Cafe Racer, Stone Brewing World Bistro & Gardens' Liberty Station Matt's Thrill Rye'd IPA, Russian River's Pliny the Elder, El Segundo Brewing's White Dog Wheat IPA, and Rip Current Brewing's Lupulin Lust IPA. Valiant Brewing will be featuring a keg of their Jericho Imperial IPA that was dry hopped with Simcoe hops last week on tap in their tasting room. 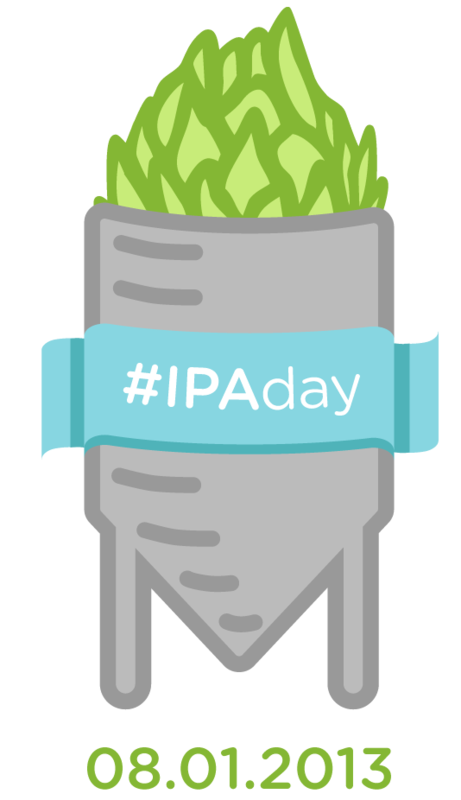 It is exciting to see such a variety of events and promotions that will be happening on IPA Day! I can't wait to celebrate my love of craft beer on Thursday by drinking an IPA. Do you have any fun plans to celebrate IPA Day? Going to a new restaurant is always a bit intimidating for me. As a kid, I traveled and lived all over the States and World. As a picky eater, I quickly learned when my family and I were on trips or living in different places to eat before we went out so I wouldn't be stuck eating odd sounding food. Thankfully, I've grown up a bit, not too much mind you, since then and am more willing to try new places. 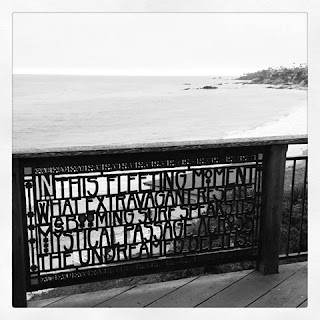 Sunday afternoon, with no plans and nowhere to go, my boyfriend and I decided we would drive down the coast on PCH. 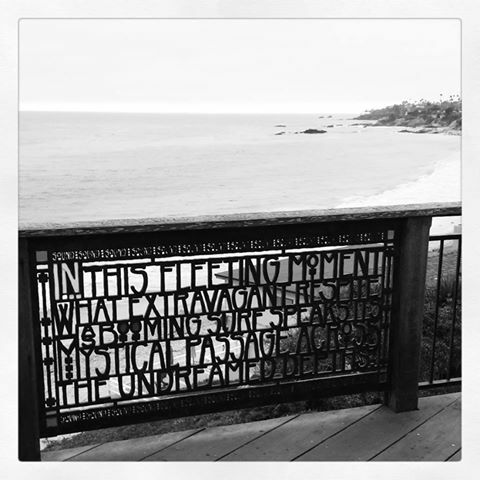 I thought we would start in Laguna Beach and work our way back up the coast, possibly heading to a favorite of ours, Beachwood BBQ. Instead, we stumbled upon a small Belgian restaurant, Brussels Bistro. At first I didn't want to even go into the restaurant because it seemed small and crowded. 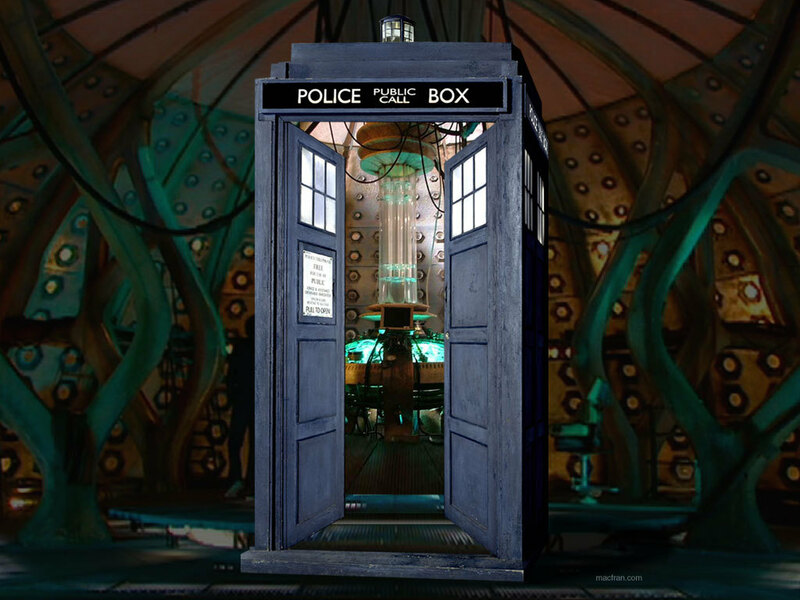 As our hostess seated us, though, I realized that the restaurant was in fact, bigger on the inside. I felt like we had traveled overseas in a few moments and had arrived in a neighborhood restaurant in Europe. Our waiter had a nifty French accent, which made me feel like I should try to bust out some of my unused French, thankfully for my boyfriend, I chose to stick with English. 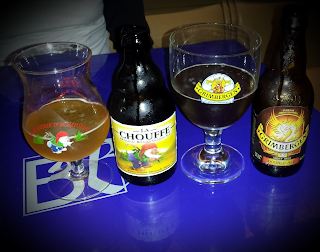 Since the restaurant is Belgian, they of course had a wide variety of beers on tap as well as available in bottles. I ordered a Grimbergen Dubbel by Brouwerij Alken-Maes while my boyfriend chose a La Chouffe Golden Ale. Both of our beers were served in glassware which matched our beers, which is always a nice touch. Instead of ordering full meals, we decided to order Belgian fries, which came with three different dipping sauces as well as a charcuterie plate. Our appetizers were accompanied with a bread basket, which tasted as if it were freshly baked, which is always nice. 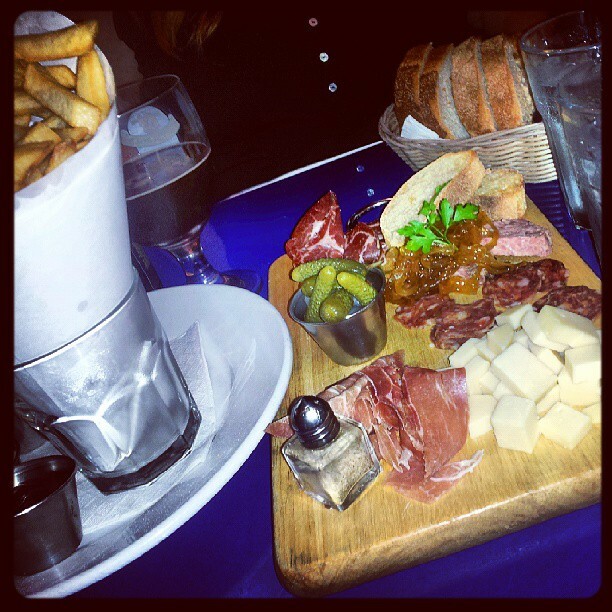 The charcuterie plate also came with a different type of bread along with three types of meats, small pieces of cheese, and pickles. We were lucky to arrive prior to dinner, so for most of the time we were in the restaurant only a few other people were in the downstairs area where we were seated. As we were finishing up, the dinner crowded was in full force, I'm glad we arrived when we did since the small restaurant quickly filled up. It was nice to find a hidden restaurant with great food and beer on a whim! Last year, was my first time going to the OC Brew Ha Ha. I knew it was going to be a great event when I found out my boyfriend and I were going to drive Greg Koch to the festival. He had sent out a tweet asking if anyone would be able to pick him up from the Irvine train station. Ahh, the power of the internet! When one of the biggest names in the craft beer world attends an event, you know it is definitely one you don't want to miss! 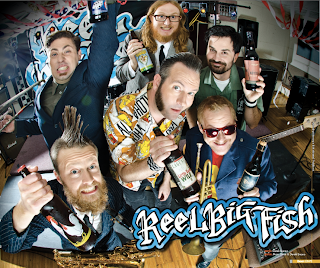 Reel Big Fish love beer, just like you! This year, I'm looking forward to seeing one of my favorite bands, Reel Big Fish perform while I drink some amazing craft beers. 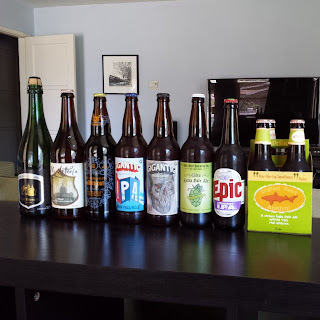 While I love drinking local beers such as those from Bootlegger's, Noble Ale Works, Valiant Brewing, and The Bruery, it is always nice to try beers from other parts of Southern California as well as those from different counties and states. This year, the event will once again be held at a Oak Canyon Park near Irvine Lake. While the event is held during the summer when it can be a bit warm, there are plenty of shade trees to help keep people out of the glare of the sun. The venue is located in an area that makes you feel you've traveled farther from the major freeways than you actually have. 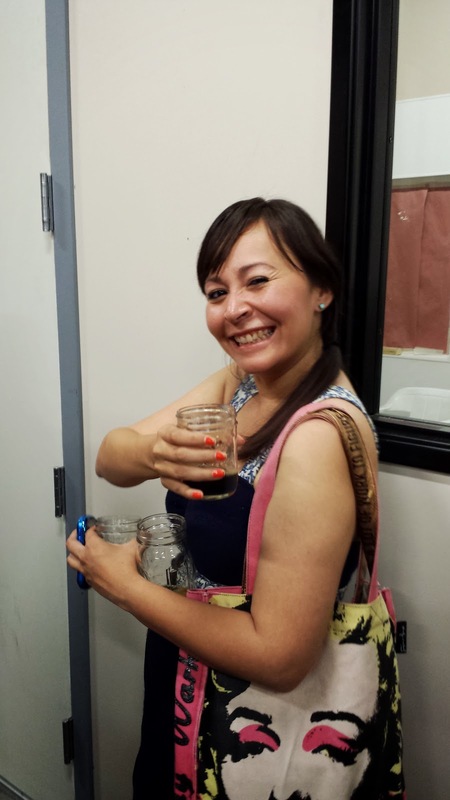 Most events have a mixture of brewery representatives and volunteers pouring beers. The OC Brew Ha Ha also has volunteers who just happen to be off-duty fire fighters. This helps to remind attendees that some of the ticket sales profits will go to an excellent cause, the Fallen Fire Fighters Relief Fund. And don't forget the live music! Two bands will be performing, the aforementioned Reel Big Fish and The Creepers. General admission tickets will set you back $45 while VIP tickets are $60. If you're into math at all, that equates to a really good deal. Even though I hate to see the summer come to an end, the OC Brew Ha Ha is a great way to ease into the fall season. Tickets are available through Eventbrite, here. Don't wait to purchase your tickets, the event will sell out, wouldn't you rather hear Reel Big Fish play live than on your record player? Beer shopping is my favorite kind of shopping! Going shopping is a favorite hobby for many people. The only kind of shopping I truly enjoy is beer shopping. Going to new shops to find beers I've never tried is always an adventure! 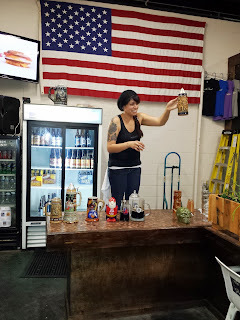 Today, I traveled a few miles up the road to visit Hacienda Beverages in Brea. I was happy to see some old favorites along with new beers, well, at least new to me! 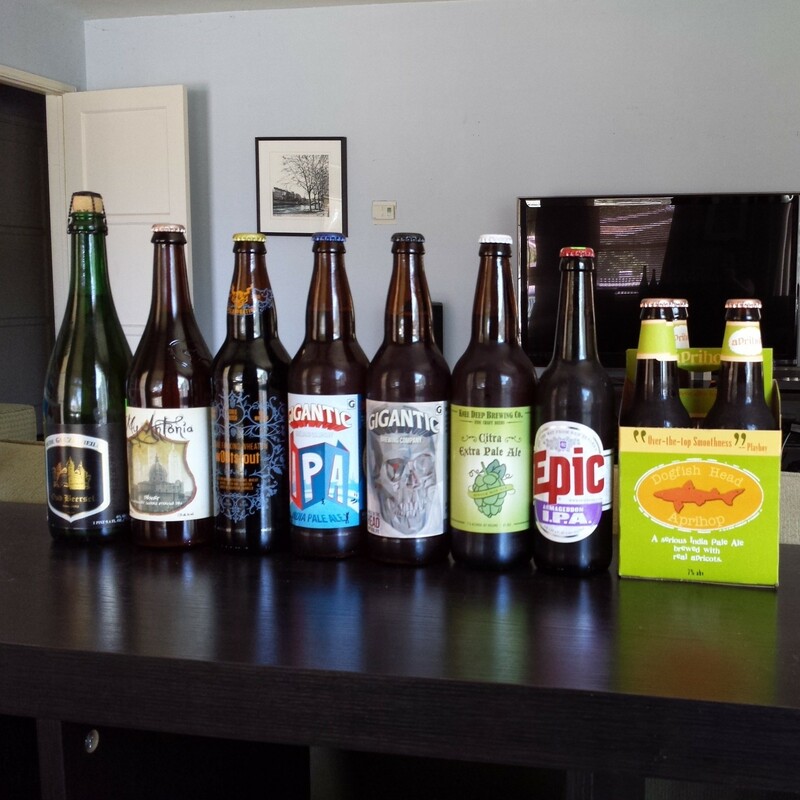 Out of the beers I picked up today, I've had four of them; Dogfish Head's My Antonia, Knee Deep Brewing's Citra Extra Pale Ale, Epic Beer's Armageddon IPA, Stone Brewing's Woot Stout, and Dogfish Head's Aprihop. The new to me bottles of beer I brought home included; Oud Beersel's Oude Geuze Vielle along with Gigantic Brewing's IPA and their Imperial IPA. Of course I love trying new beers, but I must admit I'm most excited about trying Gigantic Brewing's beer, since I love the Pixies and scored tickets to see them when they are in Los Angeles in the fall. Have you had any new favorite beers lately? 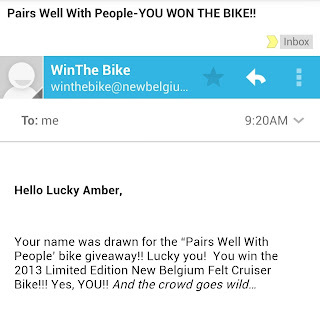 I won a bike! I still can't believe that I have a brand new New Belgium Fat Tire bike sitting in my living room. Last month, my boyfriend told me I should enter their contest, Pairs Well. You could either take a photo with a snazzy caption or just enter your e-mail address. 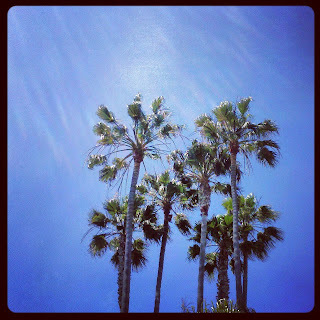 While I love taking photos, especially of beer, I decided to just enter the e-mail contest. Yes, please, I would love a bike! I had forgotten about entering until I received two e-mails within a few minutes of each other. 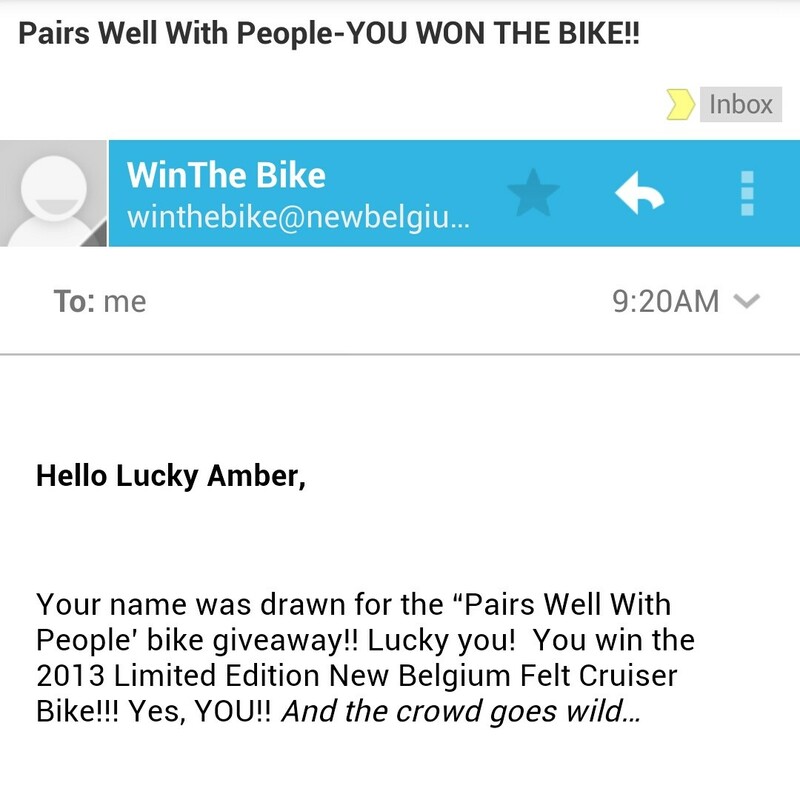 The first one thanked me for entering the contest and the second one was filled with congratulations on winning a bike. I've never felt so lucky! 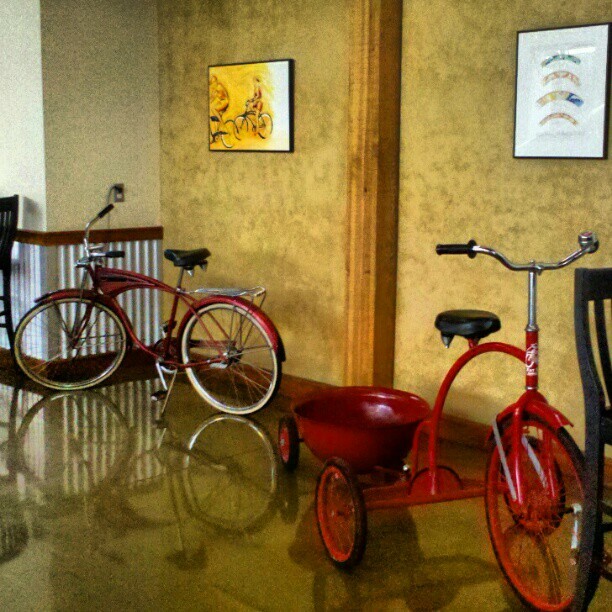 I was lucky enough to visit New Belgium last year while in Colorado for the Great American Beer Festival. While on the tour I noticed the wide variety of employee bikes and wondered how I could ever have one of my own. 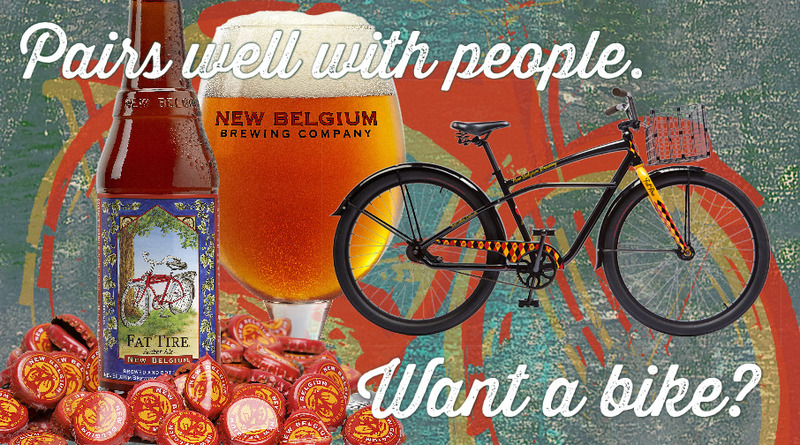 Our tour guide told us that after working for the company for a year, employees receive their own New Belgium bike. While I was pretty tempted to drop everything and relocate to Colorado for a pretty bike, I'm glad I won one instead. After I replied to the initial e-mail, I had to submit paperwork within two weeks. Less than a month later, my bike was delivered to my doorstep. The bike is manufactured by Felt Bicycles, which are known for their amazing reputation for creating fantastic bikes. After a quick run to the hardware store to purchase a couple of tools, my boyfriend graciously put together my partially assembled bike. I love all of the details on the bike and am excited for the many adventures that I will have with it! 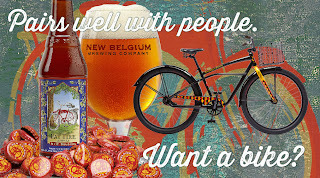 Thanks again, New Belgium! I love my new bike! Beer filled Saturdays are the best kind of Saturdays! Air conditioned beer event = rad! This past Saturday was a whirlwind kind of day. 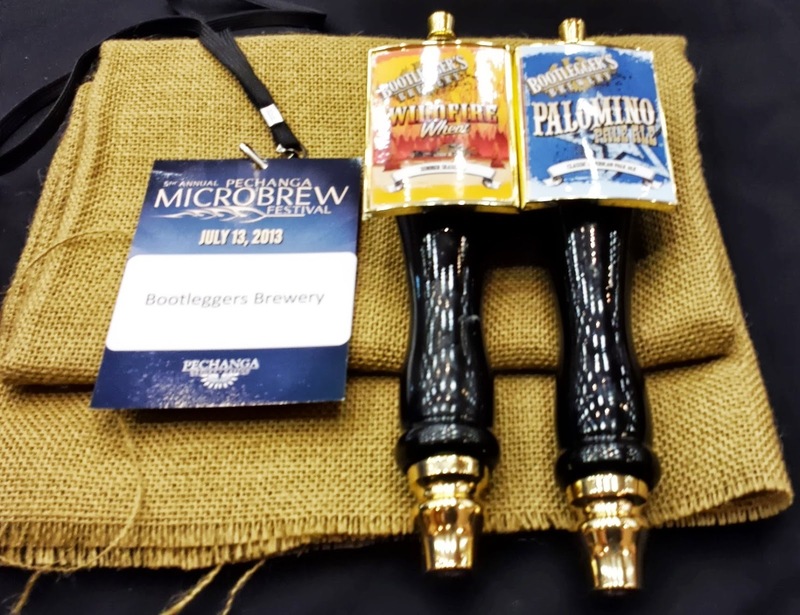 The day started off by driving out to Pechanga Casino in Temecula for their fifth annual Microbrew Fest and chili cook off. This event is sponsored by Habitat for Humanity's Inland Valley location, so the proceeds go to a fantastic cause! Besides beer and chili, there was also a silent auction with a wide variety of items available to bid on. 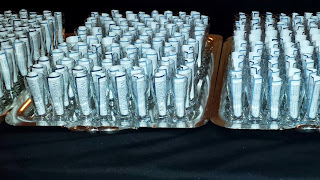 Instead of drinking beer at the event, I was helping pour beer which is always a fun experience. A steady flow of festival attendees throughout the afternoon made the time pass quickly. 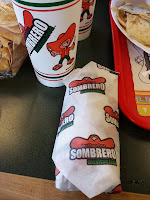 On our way back to Orange County, we had lunch at my favorite fast food Mexican restaurant from San Diego, Sombrero in Corona. Having a good meal before heading back home was essential since the second part of the day I would actually be drinking! 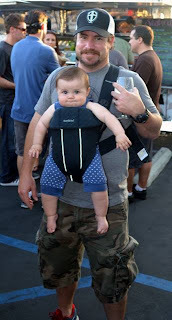 After leaving Corona, we headed to Anaheim to help OC Beer Blog celebrate his second anniversary. 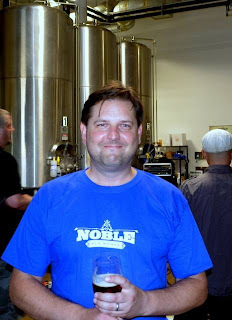 When we arrived at Noble Ale Works we were greeted by many familiar faces.There was a steady line of people eager to drink standard Noble Ale Works beer as well as some of the special beers created just for the event. As we were getting ready to leave, Slaves Against the Machine were tuning up their instruments. I wish I'd been able to hear them because they sounded great just from the few notes I was able to hear! Our next stop of the day took us to Bootlegger's Brewery in Fullerton to help celebrate the Amazing Stephanie's birthday. 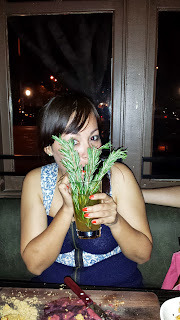 It also happened to be Stein Night! It was great to see all of the creative steins that people brought in for the competition. I'm glad I don't have to help judge because it would be hard to pick the winners! Some of our friends had not been to Bootlegger's Brewery, so it was nice to introduce them to beers they haven't tried before. The favorite of the evening was the Black Phoenix, which is a coffee chipotle stout. A drink with Christmas added! The final destination of the evening was Hopscotch in Fullerton for dinner and drinks. Hopscotch always has unique items on their food and drink menus. The birthday girl was very happy with one of the newest items on the menu, a mini loaf of bread served with freshly made peanut butter and jam. 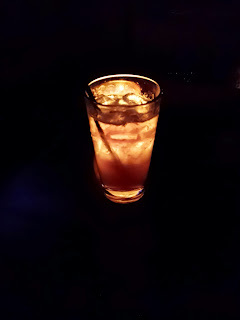 I had one of the new summer cocktails, the London Lemonade which was great. I was also happy that even though one of my favorite drinks was not on the menu, a Lynchburg Lemonade, the bartender happily made it for me, it was amazing!Saturday was a fun-filled day. I'm glad I was able to see so many of my favorite people! Living in Southern California, it seems there is a beer event every weekend, sometimes even during the week on school nights! This weekend isn't any different. On Saturday Pechanga Resort and Casino will host their fifth annual Micro-Brew and Chili Cook Off. For $45 attendees can enjoy unlimited 2 oz pours of refreshing craft beer as well as samples of chili. Along with the craft beer and chili, there will also be a silent auction and live music. Tickets for designated drivers are $25. Proceeds from the event will go towards the Inland Empire Habitat Humanity. The event is from 1:00-5:00 p.m.. Ballast Point Brewing, Bootlegger's Brewery, Craft Brewing Company, Hangar 24 Brewing, Ironfire Brewing, Kat Daddy Brewery, New Belgium Brewing Co, Ninkasi Brewing, Packinghouse Brewing Co, Refuge Brewery, Sierra Nevada, Samuel Adams, Track 7, Stone Brewing Co, and others will be pouring their beer at the event. I had the opportunity to attend this event last year and it was fantastic. One of the best parts? The event is held inside one of the ballrooms at the hotel, which makes it even nicer to enjoy the beers available. 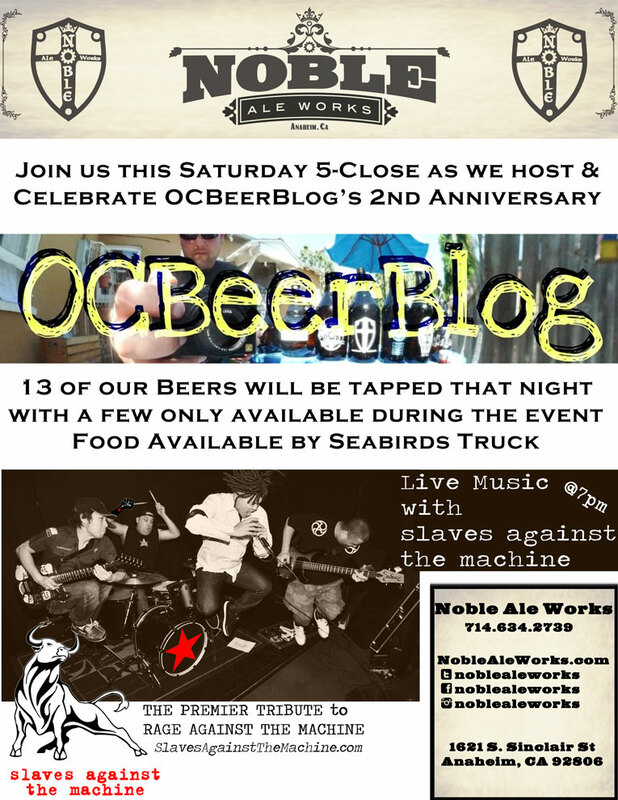 Another great event that I'm looking forward to this Saturday is OC Beer Blog's 2nd Anniversary Party which will be held at Noble Ale Works. The party is free to attend, with attendees having to pay for their own beer. There will be standard Noble Ale Works beer on tap along with specialty beers only available for the party. 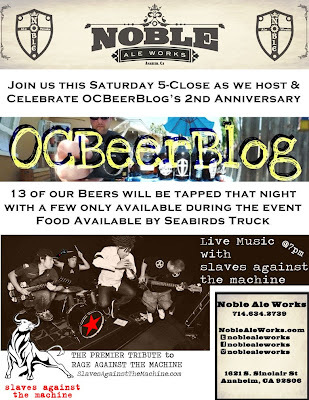 Seabirds food truck will be serving up tasty food and Slaves Against the Machine will be playing some amazing music to help everyone better enjoy the yummy beers. The party will be from 5:00 until close. Celebrating two years of Mr. Gregory Nagel contributing to the craft beer community is something you definitely don't want to miss! 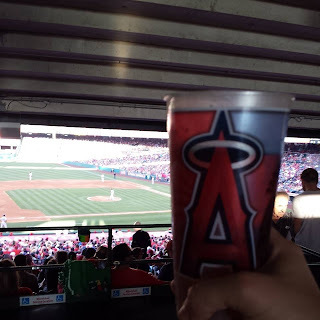 Baseball and beer, two of my favorite things! Going to baseball games in Anaheim are always a lot of fun. Visiting a local craft beer brewery before hitting up an Angels game is a great way to start any game. 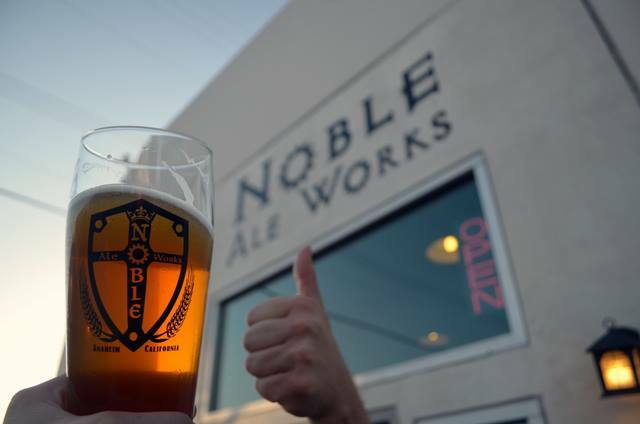 Noble Ale Works is a perfect location to have a beer either before or after an Angels game since they are located a short walk from the stadium. Before I watch my Angles play, I like to have a delicious Big Whig IPA. 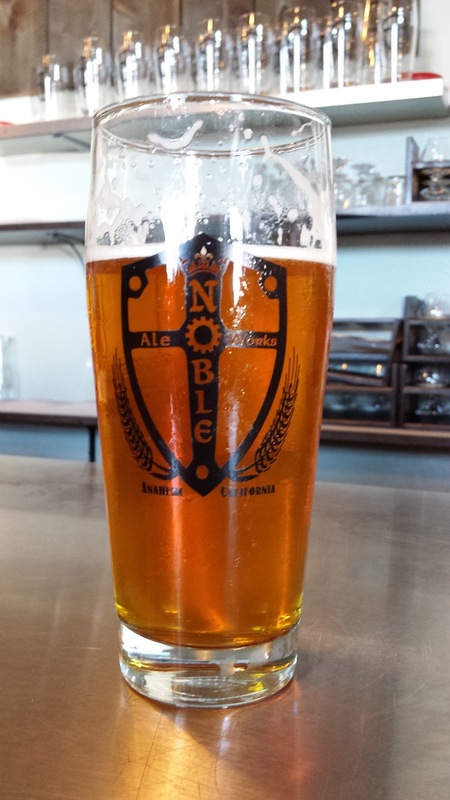 On game days, there are many fans who choose to beat the crowds and watch the game from the comfort of Noble Ale Works tasting room. 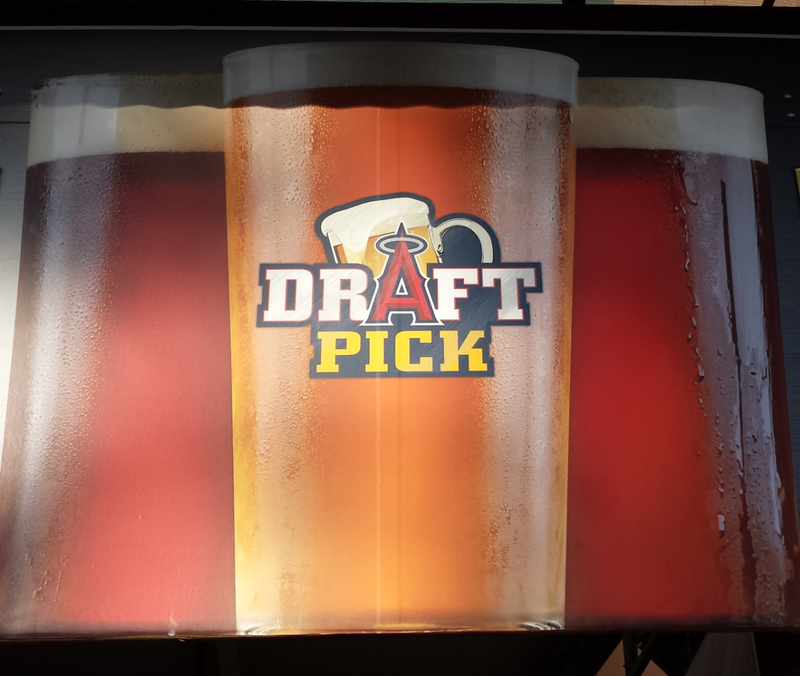 After a short walk to Angels Stadium, the closest entrance just happens to be located near Draft Pick located near Gate 2. Draft Pick is located on the field level of the stadium on the third base side of the stadium. They have a great selection of craft beer including beer from: Bootlegger's Brewery, Firestone Walker, Goose Island, Hangar 24, Kona Brewing and New Belgium. Along with serving craft beer at Draft Pick located near Gate 2, you can also find craft beer at the Diamond Club, Knothole Club, Broken Bat Section 112, and of course in the swanky suites. 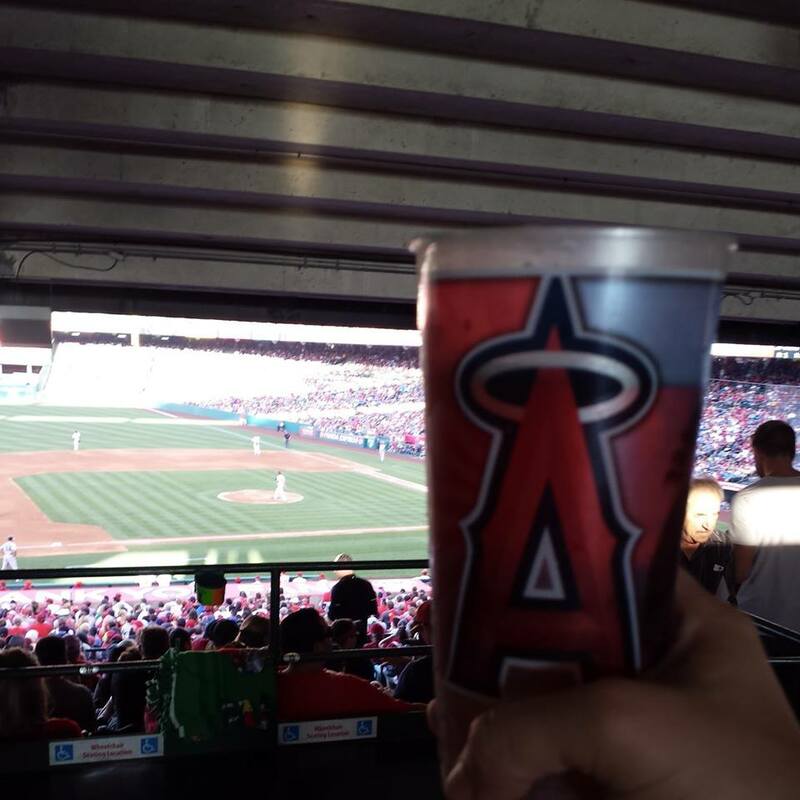 Being able to enjoy two of my favorite things, baseball and beer together makes my heart happy!